Once you determine you need supplemental staff, communicating your requirements and expectations to a trusted locum tenens staffing firm can render a smoother onboarding process. And while an orientation program does not have to be lengthy to be effective, it needs to be thorough. Depending on contract duration and your resources, locum tenens clinicians may receive a brief primer or have a couple of days to become acquainted with your hospital, medical practice, or health system. However, no matter the scenario, there are several things you can do to inspire familiarity at an accelerated pace. Read on for eight tried-and-true tips. Suggest healthcare professionals develop a personal checklist, highlighting what they would regard as “must haves” for adjusting to a new setting before they begin an assignment. Thinking about these types of items prior to arriving at your facility or practice will help them pinpoint what to bring to feel more settled and ready to hit the ground running. Consider preparing a welcome packet that offers information about the practice setting, such as a detailed map, parking particulars, and information from the local convention and visitors bureau or chamber of commerce, before providers report for assignments. More sensitive particulars—like door codes, login information, and passwords—can be presented during orientation. Provide a tour of the building, pertinent department(s), and supply room; introductions to the clinical team and other staff; and solid review of coding, billing, and equipment for an ideal experience. This process will not only offer a good overview but also will give clinicians a chance to ask questions and have them answered on the spot. Ensure providers understand how to navigate your electronic health records (EHR) system. Seasoned locum tenens physicians, nurse practitioners, physician assistants, and CRNAs have experience with different EHR systems, but providing adequate training, guidance, and as-needed assistance on yours will aid in the reduction of errors, delays, and other challenges. Make the atmosphere conducive to effective communication, and advise locum tenens professionals to take notes throughout their orientation. You may even opt to facilitate the process by keeping clipboards, pads, and pens on hand for their use. Designate a preceptor or other resource person(s) to answer new questions as they arise and offer immediate assistance. (Always encourage locum tenens doctors and advanced practitioners to ask questions if a policy or procedure seems unclear.) In addition to ensuring they secure requisite information, this practice will help them build a rapport with their coworkers. 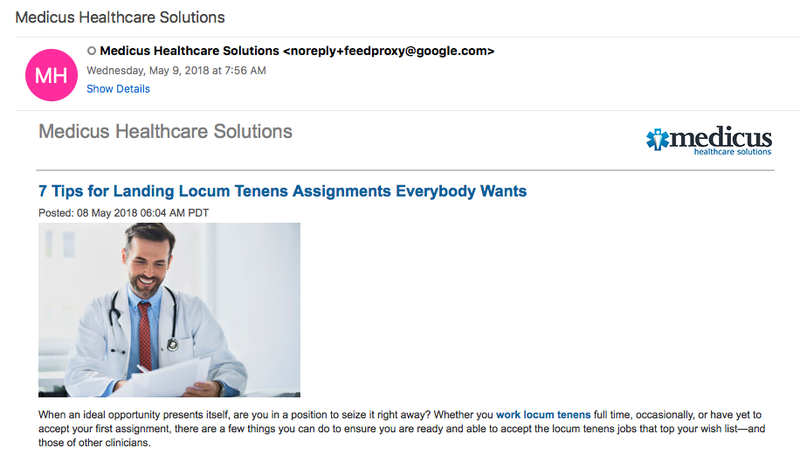 Treat locum tenens clinicians as if they were regular employees, from both welcoming and orientation standpoints. Give providers a sense of pride in practicing at your hospital, medical practice, or health system. Those who view a setting as exceptional and friendly to supplemental staff are more inclined to extend contracts and might even consider becoming a permanent staff member, if presented with the option. 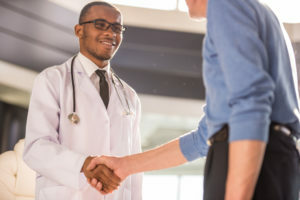 By incorporating several strategies—beginning with the moment candidates are considered for opportunities—administrators and other decision makers can enhance existing programs and implement new ones, which can result in winning situations for patients, permanent staff, management, and locum tenens providers alike. For further information and assistance with your staffing needs, call 855.301.0563 and speak with an experienced Medicus Healthcare Solutions business development executive today.